If I face the choice of organic, packaged food and non-organic non-packaged food - which is more sustainable? http://footprint.wwf.org.uk/ tells me the negative impact of packaging is twice as big in terms of ecological footprint compared to non-organic foods. Is this correct? It's all a matter of how you do the counting! If you take into account how much diversity you destroy, non-organic food is worse than "too much" cardboard packaging. But how do you count this? Life has no price, and damages are potentialities. On the other hand, the more you use "non-organic" method for farming, the more you need them. So it's even worse on the long run. My guess is the study only accounts for what is accountable as for today in terms of carbon footprint, and doesn't apply to what is destroyed by non-organic farming. My point is environmentally friendly produced food is far better because it helps keeping balance between the species - even better if you buy them "package free". I can't tell the figures: there is a whole variety of possibles between ligthly-packaged with recycled products and over-packaged with brand new cardboard from forest devastating firms! 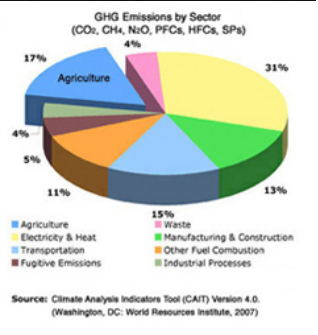 Thus reducing the "agriculture's footprint" seems more important from this point of view too. Not the answer you're looking for? Browse other questions tagged plastic ecological-footprint packaging pesticides organic or ask your own question.